HEATHROW, UK. 21 July, 2016 –– Tyco Security Products introduces the latest version of its VisonicGO mobile application, which puts event-related security decision-making, including images of proceedings as they unfold, into customers’ hands via an Android or iOS smartphone or tablet. The app can be used for self-monitoring as well as to complement monitoring services. Through the use of cloud-based servers, residential and commercial users with PowerMaster control panels can connect to the VisonicGO app and perform key security system functions, including remotely arming and disarming systems, managing event history remotely, and receiving information on and responding to device status, such as a door or window left open. Users can customize their event notifications as well, so they only receive the information they want without getting overloaded with data. 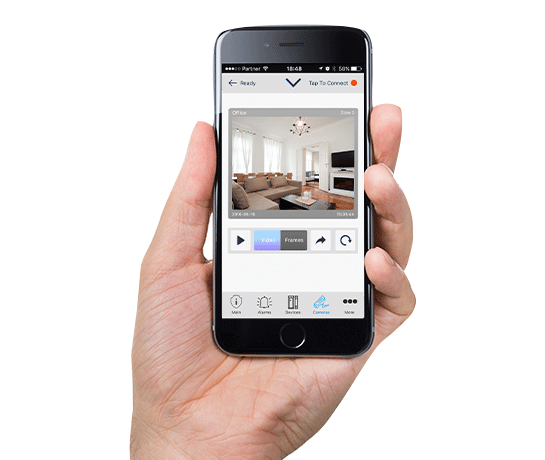 VisonicGo offers the ability to get images and text or sound notification based on alarms in real time. With visual verification available on demand, users can make decisions based on what is occurring, just as if they were on the scene. Archived images can be forwarded to law enforcement officials for identification of suspects or sent to insurance companies for documentation of incidents. The event images and alarm information can also be shared with the user and the monitoring company at the same time, providing peace of mind and vital facts during an active event and eliminating unnecessary expenses for false alarms. The VisonicGO app is available through the App Store and Google Play and is usable in 15 languages. For more information on VisonicGO, visit www.visonic.com.